Happy Friday! I’m linking up with Oh Boy 4th Grade again for the May Currently! I’m a few days late again but I don’t know about one else but I am so busy right now. I hardly have time to even sit down at my computer! Listening: This week has been full of craziness! Its the EOY + kids ready for summer = total chaos at school. I’m just enjoying silence for a few minutes! Loving: Only 27 1/2 more days! Woohoo! I have lots of changes happening this summer. Wedding, moving, new house…ready for a new adventure! Thinking: Oh my gosh! 27 1/2 half days left of school…I have to be out of my house at the end of the month. Theres so many little wedding things that need to be finalized. I could go on and on. It will all work out though! Wanting: A VACATION! We booked our honeymoon last week! Jamaica here I come! Needing: I’m having a garage sale tomorrow. Seriously Marcy, get off the couch and get busy! 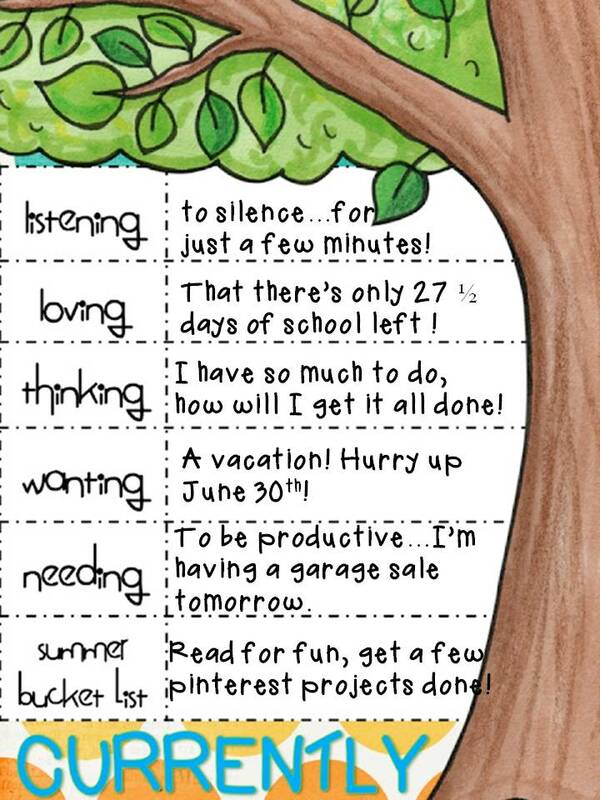 Summer bucket list: I love to read but I just never have time! I have a long list of books and I’m hoping I’ll put my Kindle to good use. Any recommendations? I have about a hundred pinterest projects I want to do. With a new house in the future, I’m hoping I’ll get a few of those done. Along with some TPT stuff of course! 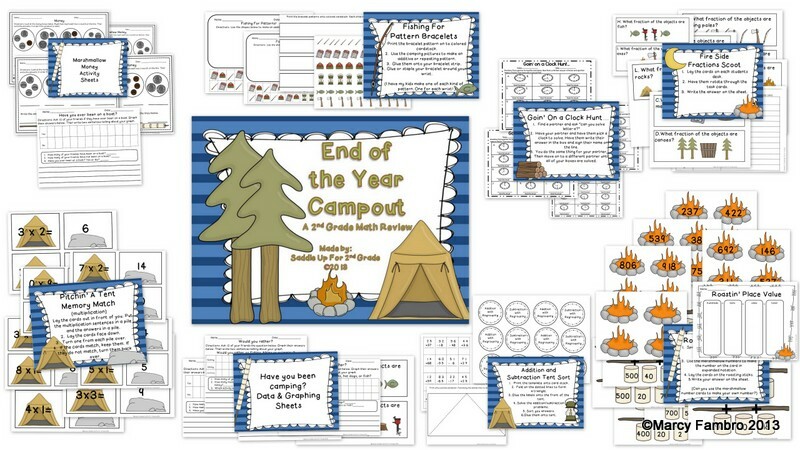 I FINALLY finished my End of the Year Campout: A 2nd Grade Math Review. I’m so excited about this unit! It covers 9 2nd grade math concepts and includes activities for place value: expanded notation, time (hour/half hour/5 minute increments), addition and subtraction with regrouping, patterns (additive and repeating), fractions, multiplication, money and graphs! Head on over to my TPT store to check it out! Ok, Ok, I’ll get off the couch now! Have a good weekend everyone!